Powered by Ray-Ban, one of the most popular brands within the Luxottica stable, the primary objective for OneSight Acoustics is to raise profits towards OneSight; a non-profit organization providing sustainable access to quality vision care and eyewear in underserved communities worldwide. 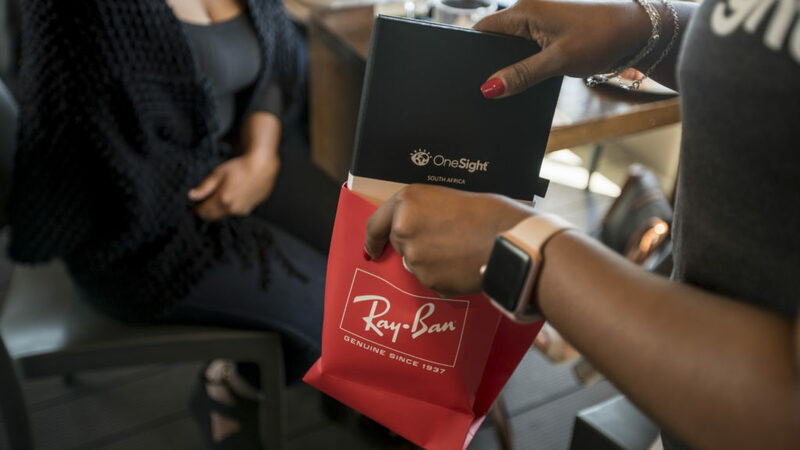 Over the past few years, since the introduction of OneSight Acoustics, the collaborative effort of Ray-Ban brand ambassadors and some of South Africa’s top local talent has contributed to the success of this great initiative. This year is no different. The line-up includes Jimmy Nevis, Majozi, Goodluck, Reason, Desmond and the Tutus, BCUC and many more talented musicians. Saturday, 28 October 2017 with Goodluck, DJ Invizable & more! Saturday, 11 November 2017 with Jimmy Nevis, Majozi and more! Friday, 10 November 2017 with Desmond & The Tutus, Josh Kempen and more! Friday, 17 November 2017 with Tresor, BCUC and more! R150 offers an eye test & a pair of frames for someone in need. Be sure to comment on this post if you’ve entered so we can contact you via email! Shared! 😉 Such an epic cause!!! Quite happy to share an initiative that helps those in need! See you all tonight at The Good Luck Bar!